Welcome, we are OGC Industries and we invite you to take a look at the most comprehensive tile fabricating and manufacturing company in America. We have a 25 year history of products and services designed for the tile, porcelain and stone industries. With our ability of water-jet tile cutting, bullnose tile profiling, mosaic tile manufacturing and sample board display assembly, OGC Industries produces the highest quality and most innovative products in the USA. 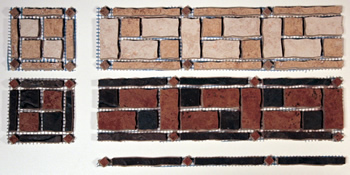 Combined with our Italian craftsmanship and our ability to do it right the first time, we can offer unique designs for mosaic tiles, create any water-jet design, manufacture any size bullnose tile and assemble any sample displays that any customer so desires. This market strength gives OGC Industries the unlimited ability to service the tile manufacturing, tile distribution and tile contractor markets with proven products and services. 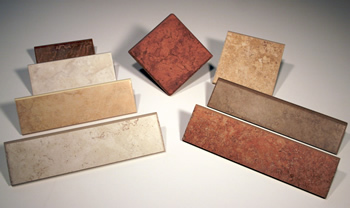 As you will see, we offer a wide variety of tile products that can be designed to your specific market or enhance existing products. Providing the best products with innovative thinking, that's OGC Industries!